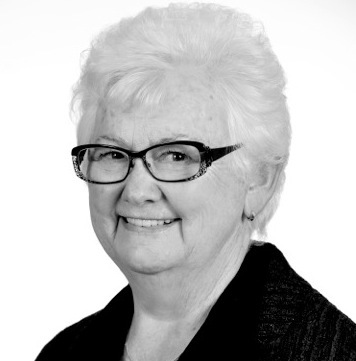 Neuroethics Canada congratulates Dr. B. Lynn Beattie who has been inducted into the 2019 Vancouver Coastal Health Medical Staff Hall of Honour! The Medical Staff Hall of Honour was created by the Vancouver Community of Care (CoC) Medical, Dental and Allied Staff Association (VMDAS) of Vancouver Coastal Health, with the approval of both the hospital’s administration and the VGH UBC Hospital Foundation, to commemorate VGH’s 110th Anniversary in 2016 and the 150th Anniversary of Canada’s Confederation in 2017. While we acknowledge the outstanding service of all health care professionals who have served the hospital and its affiliated institutions since 1906, the intention of the VMDAS is to recognize and honour those whose exceptional leadership, clinical and academic service have profoundly benefited the residents of British Columbia and, in so doing, have brought great distinction to VGH and its institutions. Eligibility for the Hall includes service at a VGH/VCH affiliated institution for a significant proportion of the candidate’s career, retirement from VGH/VCH for a minimum of three years, and strong clinical contributions to VGH/VCH. Born in Nelson, BC in 1940, Dr. Beattie is professor emeritus in UBC’s Department of Medicine. A role model for women in medicine, particularly when there were very few, Dr. Beattie was the founding head of the university’s Division of Geriatric Medicine and helped establish the province’s leading Clinic for Alzheimer Disease and Related Disorders. She worked there from 1983 to 2013. Dr. Beattie is renowned as a force in every aspect of geriatric medicine and blazed a trail with her work among First Nations to bridge traditional understandings of wellness and disease with Western biomedical practice. Dr. Beattie’s ground breaking research activities also included clinical trials in Alzheimer’s disease, a look at psychological resilience and well-being of spousal caregivers of people with dementia, and a genetic epidemiological study of Alzheimer’s disease, brain power, resistance training and cognitive function in older women. Dr. Beattie has served on countless committees and is an active member of the Alzheimer Society of Canada’s board of directors. Her contributions are of such a magnitude that she is the only person to have ever served as president of both the Canadian Geriatrics Society and the American Geriatrics Society. She also worked part-time as the scientific director for the Centre for Healthy Aging at Providence Health Care in Vancouver. Dr. Beattie was recognized for her work in aging and dementia with the Queen Elizabeth II Diamond Jubilee medal in 2012. The current geriatric medicine services at VGH and UBC Hospital as well as those throughout the rest of BC are a result of Dr. Beattie’s tireless efforts to promote care of the elderly and her dedicated mentorship to generations of current geriatricians.